Explore the comprehensive core musical theatre program. 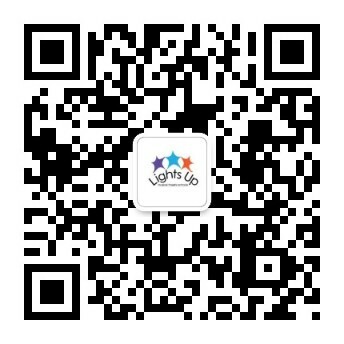 Children and teens step into the spotlight in Lights Up’s comprehensive core musical theatre program. Weekly sessions are divided into three classes that include an hour each of singing, dancing and acting. In the Spotlight program, students are divided into three age appropriate groups. Students develop their vocal techniques through games and exercises that improve rhythm, pitch, and volume-control and learn to sing harmoniously in groups and take on solos. Children and teens practice jazz, modern, ballet and hip-hop. This class combines technique with fun musical theatre choreography. Students learn to unleash their ideas and step into the shoes of different characters in the Spotlight drama class. These three classes compliment each other and give students solid foundations to bring their performance abilities to the next level. Enrolling a sibling? Lights Up are pleased to offer a 50% discount for 2nd and subsequent siblings enrolled together in our ‘The Company’ or ‘Spotlight’ programs. Note: Spring term classes end with theatre performances. For scheduling reasons, show day, date and times may vary from the regular class day/time. Please check your availability on the final dates below! Saturdays 10:00am-1:00pm *CLASS FULL - SIGNUP CLOSED*Sorry this class is full. Please select a different class or time, or contact us to be placed on the wait list. Saturdays 2:00pm-5:00pm *CLASS FULL - SIGNUP CLOSED*Sorry this class is full. Please select a different class or time, or contact us to be placed on the wait list. Saturdays 10:00am-1.00pm *CLASS FULL - SIGNUP CLOSED*Sorry this class is full. Please select a different class or time, or contact us to be placed on the wait list.